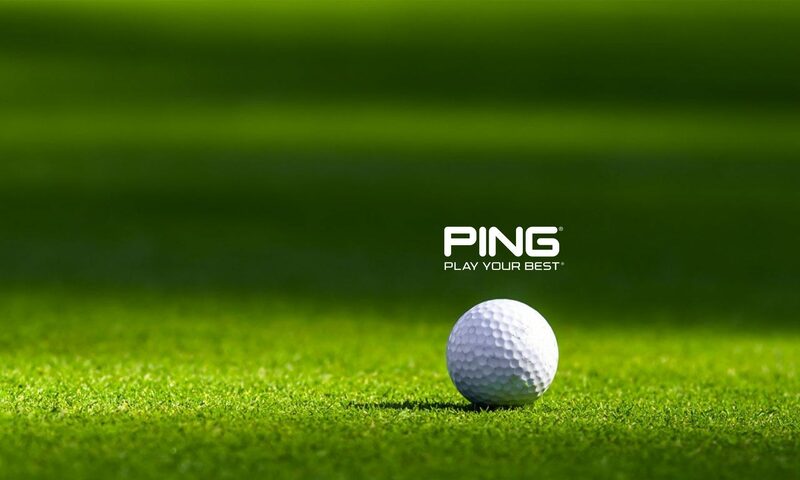 Every golfer has a story of the putt they holed, the chance they missed, and of the drive that was long and straight. 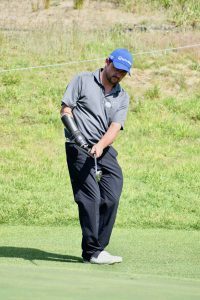 Not every golfer, however, has a backstory that grabs one’s attention, that shows the human spirit and can fuel the can-do attitude that is inside every one of us. The Golfers First Profiles came from a deep belief that everyone has a story, that is not only worth telling, but also worth sharing. 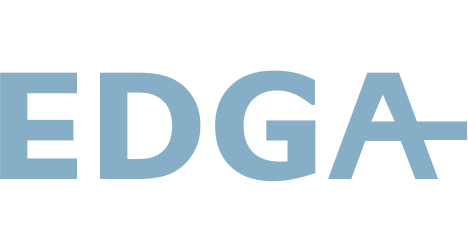 Perhaps you or someone that you know is in need of a boost of inspiration or a signpost to what can be achieved. “I just gave myself a mental slap and said to myself ‘figure it out, sort yourself out’ and it was the best thing I have ever done,” says Ashington born Kevin Harmison. Kevin like many others had to deal with the psychological impact of losing his leg in an accident along with the aftermath in the months and years that followed. EDGA’s Tony Bennett introduces his conversation with Kevin Harmison, who comes from the same town as football legend Sir Bobby Charlton. Ashington in the North-East of England is famous for being the centre of the coal mining industry, and the birthplace of three of Englands most famous footballers, Jackie Milburn and the Charlton brothers, Jackie and Bobby. One of three boys in the Harmison family, it was natural for the boys to play the ‘beautiful game’ of football, and expected that when they became men that they would go down the pits. That is what his Dad Walter had done along with his brothers Jim and Melvyn. Golf came into Kevin’s life when he was just ten years of age when brother Jim got some clubs, and they would go off and have a few swings, “It was more like a relaxing sport, because when I played football it was intense. I think I was about 18 when I first joined a golf course. It was football in the winter and when I got more time off in the summer it was golf. 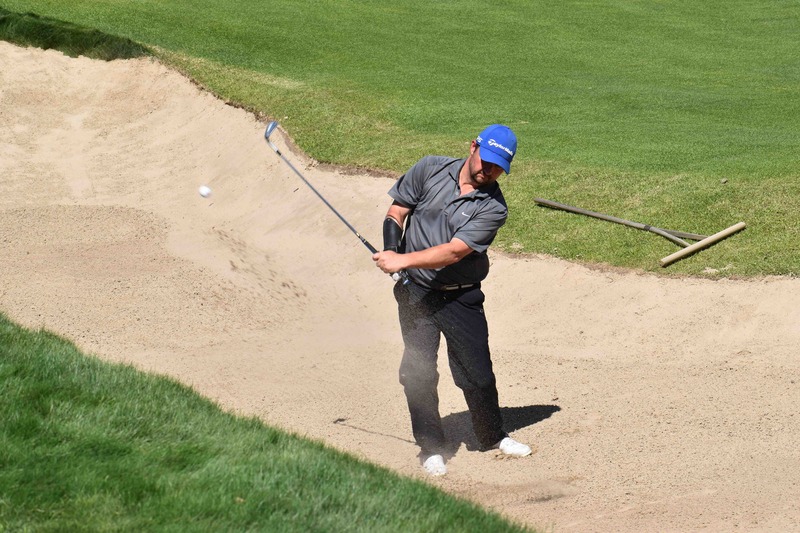 By the time I was about 25 [years old], my handicap was four.” Even though he thought it was a relaxing sport, he would get frustrated like every other golfer. Just when he thought that he had mastered the game it would kick him in the backside and he would have a ‘nightmare’ few weeks. 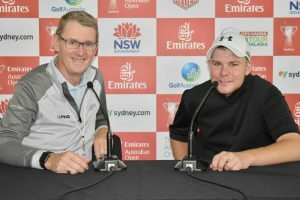 Kevin says “It’s such a great game, the difference between football and golf is the fact that football is a team sport and so you can play badly and get away with it, whereas in golf it’s such an individual sport. I think that 90% of it is psychological and I think that this is where I got better.” That strength of mind would come in handy later on. Life was moving along a well worn and predictable path for the 25-year-old Kevin. Married to Diane, a young family with daughters Meagan and Jessika, and a new job where he was doing well in his managerial role at the Hydraulic Cylinder Plant. 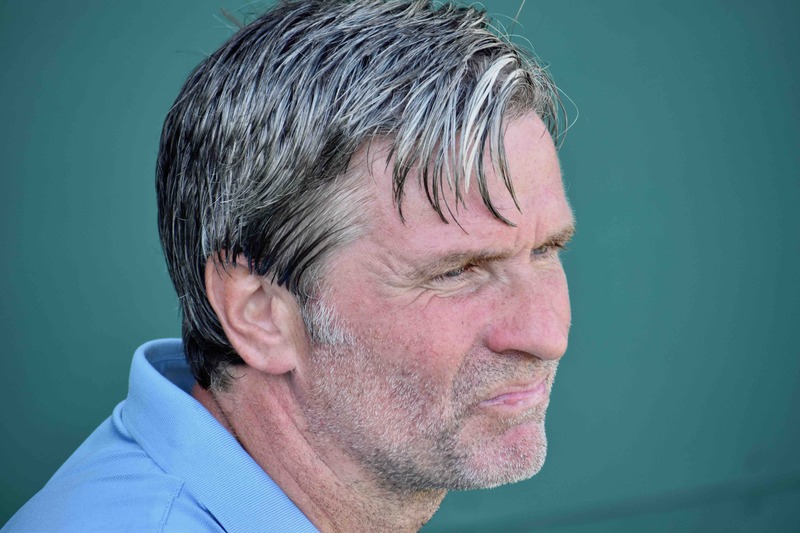 “My golf got better… because being the manager I got a lot of perks in the job. I met…the Chairman of the Chamber of Commerce…and so I would get invited to [play] and so met some fantastic people. 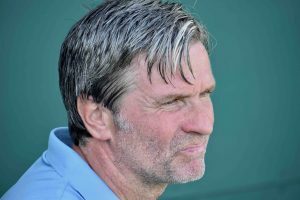 It was then that golf started to take over from football.” Things were good, and then a series of events changed the course of Kevin’s life. “I don’t know if it was fate really,” says Kevin, “There was a place called Alcan Primary Metal, which was right next to the golf course. They used to make aluminium, and it was the main place in the North-East if you didn’t want to work down the pit.” the job paid well and a lot of Kevin’s friends already worked there. “They were telling me that they could get me a job, I would just have to pass a test. But I didn’t really want to work there for the simple reason that it was a dangerous place.” Life went on until the factory at which Kevin worked burnt down, “We lost our jobs, and they had to rebuild the factory. We got paid our wages for about a year, but then I had to look for another job.” That job search ended when Kevin secured a job at Alcan. With a young family, the wage was a necessity even though he didn’t really want to work there. Kevin was admitted to the Royal Victoria Infirmary burns unit in Newcastle for eight weeks during which time they tried to save his leg five or six times, but the extent of the burns meant that treatment was not easy. “They tried to take [my leg] off further down…but they had to take it off higher because it was still burning inside. In the last operation, they gave me a chance to take a muscle out of my back and to put it into my leg, which wasn’t really an option. On the 52nd day, I decided to take it off, and that was it, a change of life really. Originally when I was going to have my leg taken off my world fell apart for a couple of days, because I thought what am I going to do? There are no truer words written than, ‘in life, nothing stays the same.’ For Kevin, there was some hope as he got closer to getting a prosthesis, “As soon as I got a limb that I could put on and start walking, I could see a little bit of light and thought I’ve got a chance here. To be honest, I still wasn’t thinking about disabled golf then, I was just trying to get on my feet…but once I got my limb, everything changed.” Immediately he started to think about going out of the house, taking up sport again. There were a few options disabled football with walking sticks and luckily he saw a poster that read “disabled golf.” This was another life-changing moment as Kevin once again took up the game that he had played before his accident. 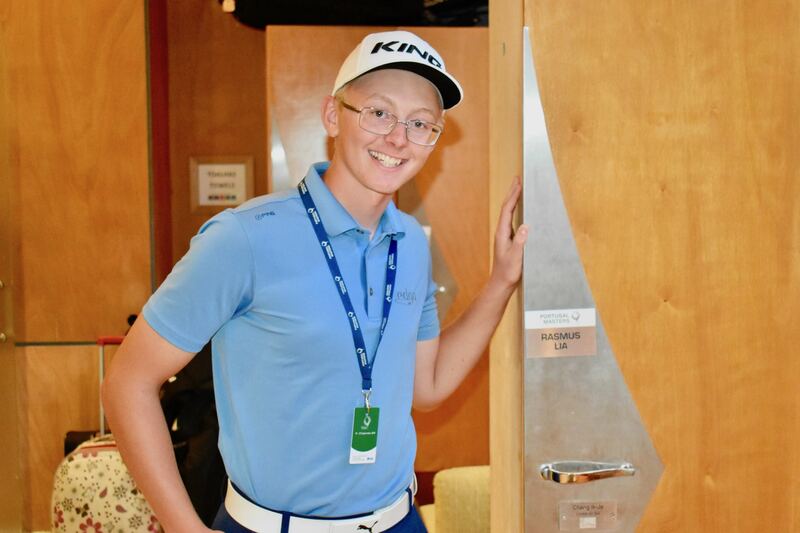 Over the last ten years, Kevin has become one of the names that people look to be on the podium at every tournament in which he plays. 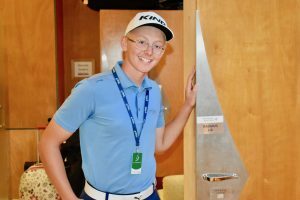 With a handicap of one Kevin is firmly up there with some of the best that Europe has to offer, but he realises how good he has to be, “I’ve learned how good some people are, I learned how good you need to be to get to the top. 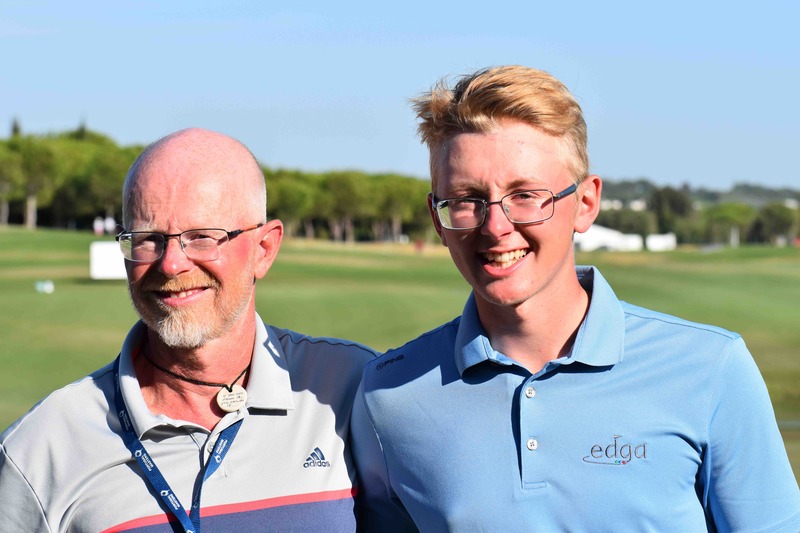 I’ve learned that England has some fantastic golfers and with a little bit more help we can be up there with the best teams in Europe.” One experience has helped focus Kevin’s mind, “In 2013 I played with Juan Postigo…his Dad was with him, and he was only 16 at the time, and he was a lovely lad. At the end of the game, his Dad came up to me a said, you see that lad there [Juan] in five years he will be the best in the world.” Time will tell whether or not Juan makes it to the top of the Ranking, but with several weeks in second place and two EGA European Championships medals to his name, it seems there is a good chance. 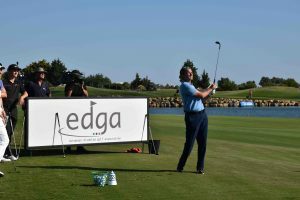 EDGA’s Tony Bennett introduces his conversation with the Swedish Ice-man, Rasmus Lia who thrilled the crowds at the Portugal Masters. Imagine now what it would be like to fly through the air unaided. No seat or machine under you, just clean air enveloping your body, like a soft cushion. The chilly air numbs your face as you look down, and the earth passes by in double time. Then the point of realisation hits, as your velocity reduces the altitude drops in preparation for landing. Rasmus Lia had this sensation many times as he followed his passion for cross-country skiing. The sport is widely practised in Scandinavia and is seen as a form of transportation in the more remote areas of northern Sweden, Norway and Finland. Rasmus had skis on almost as soon as he could walk. With his father Trond being on ski patrol, it was natural for young Rasmus to take to the snow. He soon developed a passion for skiing and by the time he had his first double-digit birthday he was already competing. Trond had taken him to the mountains and fuelled the youngster’s competitive juices. 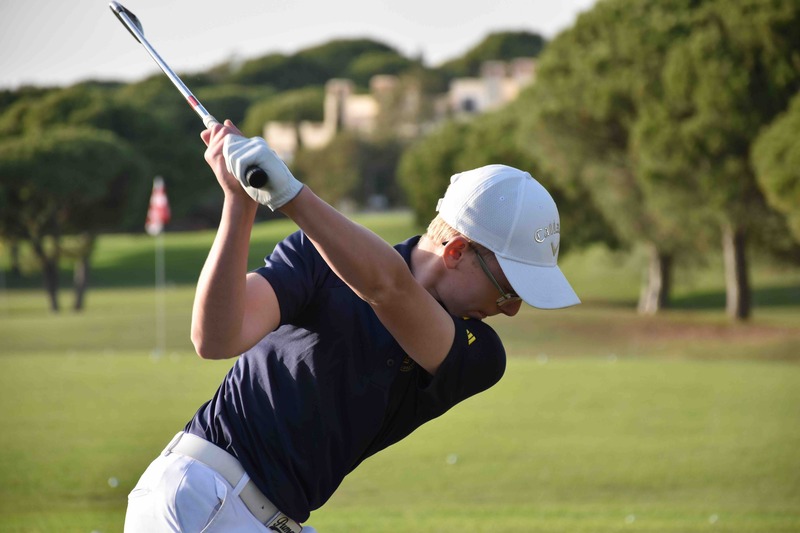 Rasmus would willingly put in hours of practice, and had already reached a top ten position for his age at the national level. When things go well we tend to take them for granted. By now Rasmus was adept at controlling his body through the turns, establishing balance as he cornered, propelling himself forward coordinating ski and poles, legs and arms to help cover the terrain. The jump from five meters high was measured later at 27 metres. Rasmus instinctively knew that he had too much speed and in the time it took to travel those 27 metres he tried to slow his momentum by titling his body backwards, “I was thinking about how hard the landing was going to be, and I was trying to get back on my feet, but couldn’t. I landed on my hip and my back. The body is amazing in its ability to repair, and this is especially true in the case of young people who are already well conditioned. Within a few days his hip had re-located back into the right place again, and so at first, they didn’t want him to have surgery. Rasmus stayed in the hospital for a week or so before continuing his recovery at home, “I got the call just one or two days after I had been sent back home. Another Doctor had seen the x-ray, and he saw clearly that I needed surgery,” says Rasmus who found out that the hip capsule which had been crushed needed to be repaired along with the three fractures which he had in his back and two in his pelvis. The accident was taking its toll on Rasmus, “The crash was at the beginning of March, and the first surgery was in the middle of the month. So I used crutches and then a wheelchair at the beginning, but I got back to school in a month or so, but I wasn’t allowed to walk for about eight weeks.” The physical toll is obvious, but for many who experience a life-changing accident, it is the mental and emotional toll that pervades. “Every two or three weeks after surgery it was hard. I had no motivation and just had thoughts going around in my head. It felt like I had to start over after each surgery. So that was very tough, and it led to a lot of things, like gaining a lot of weight because I didn’t train as I did before,” says Rasmus. “It is the stones in the path of the water that gives the stream it’s music,” said a sceptical publisher to his scribe. Her thoughts surfaced when reading the story of a successful athlete with less than a quarter of a century of living tucked under his belt. EDGA’s Tony Bennett introduces his conversation with nineteen years old, Aussie Cameron Pollard who has had a whirlwind couple of weeks. If it is true that obstacles and difficulties are merely a gateway to developing an uncommon depth of character, then my guest today has certainly had his fair share. Nineteen-years-old Australian Cameron Pollard can list quite a few obstacles. Cameron resides on the Autistic Spectrum, has Ehlers Danlos Syndrome, which to the layman means that Cameron’s joints have a pre-disposition to dislocate from time to time, a rare genetic bowel condition called Hirschsprung’s Disease, which has resulted in him having his bowel removed, and if that is not enough he also is diagnosed with Panic Disorder. It is likely that more of Cameron Pollard’s story lies ahead of him, but to understand how this amiable Aussie won hearts and minds of the public during the 2018 Australian All Abilities Championship at The Lakes Golf Club, we first have to learn of his journey to the opening round. So often it is a family member or friend that opens the door for new players to come into the game, and for Cameron, it was his Nan Jennifer who was the first to put a club, albeit a plastic one, into his hands. Dad Scott was next to fuel the interest of a young Cameron by regularly taking him to Sawtell Golf Club, where today he has become a valued member. 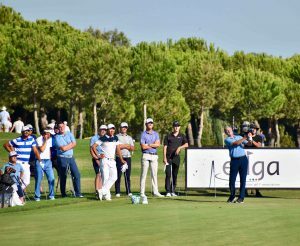 Dad had also been a good player with a handicap of two, and golf is now indeed a family game as Kate has recently started to play. Kate is rightly proud of her son, and it is easy to see that she supports Cameron in lots of ways beginning with taking him to the club and to the events that he now plays in. 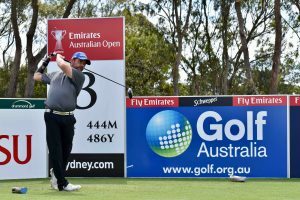 Interest can quickly turn to passion, and so it has been with Cameron who has become one of Australia’s best all abilities players. 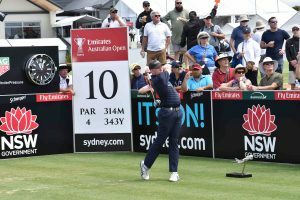 He now works in the professional’s shop at his home course and practices as much as he can, to hone the various parts of his game under the watchful eye of PGA of Australia Professional Brendan Barnes. 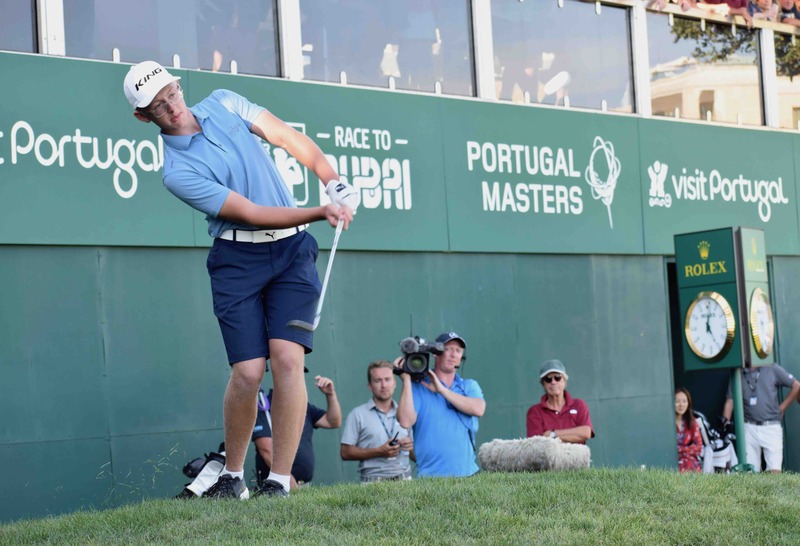 Playing competitively is a central focus for Cameron, and by regularly competing, as much as three times per week, he is making great strides. 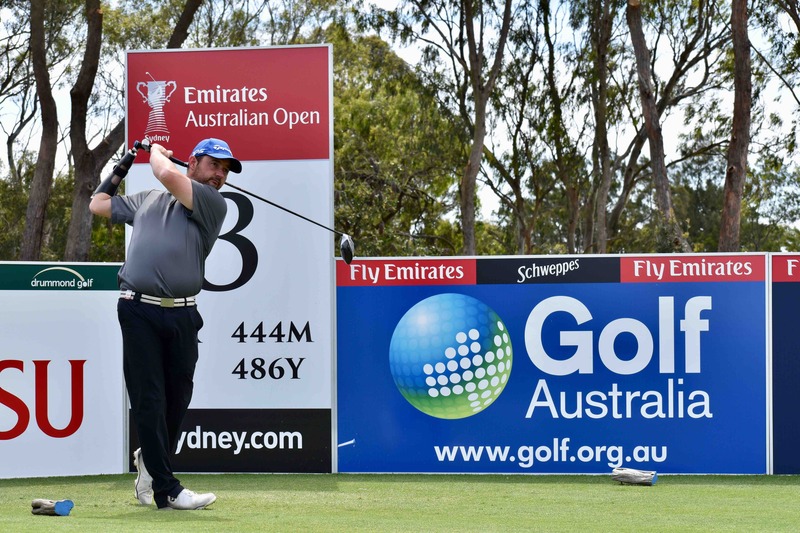 Cameron had his first taste of wearing the Australian jersey when he competed in the Special Olympics Macau Golf Masters in 2016, but since then the opportunities have started to flow for this New South Wales resident. 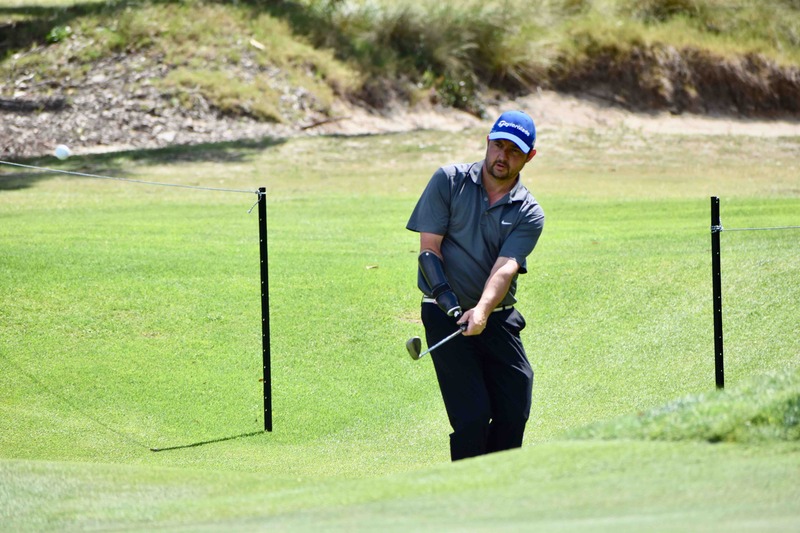 Living in the suburb of Boambee East, approximately ten kilometres South of Coffs Harbour, Cameron qualifies to represent his state, providing that he can demonstrate that he is one of the top players. Meet the grade he certainly does, and earlier in 2018 he took part and became the 2018 Special Olympics National Games Champion. 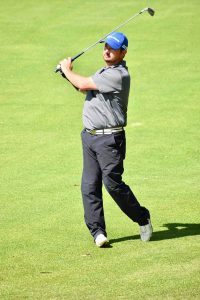 Cameron is interested in making a career out of the game and has recently completed accredited training to become a community instructor for a programme called ‘Myschools’, to which he has added training for the ‘Ladies Swing Fit’ course. With this new knowledge and skill Cameron can now assist the professional to deliver both types of classes at the local club. Fast forward to November 2018, and the third week of the month was shaping up to be much like any other week, except for the fact that he and Scott were due to be defending their foursomes club championship against a hungry group of competitors. Then came the call to join up with eleven other all abilities athletes who had been invited to compete in the AAAC. One of the international players had a delay on his visa and so would arrive late. 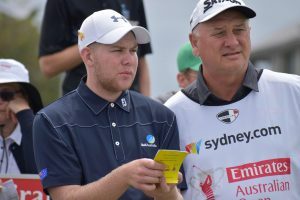 The organisation decided to bring in an Aussie player as a last minute replacement to complete the dream dozen. Cameron was already selected to play the following week for the Australian Team in Melbourne at the Handa Golf Cup, but this call-up meant a speedy change of plans. Cameron arrived two days after the other competitors and did not even have time to play the Lakes Course, but that didn’t hold him back as he wowed the vast galleries, there to be part of this groundbreaking event, which took place inside of the 108th Emirates Australian Open. What the future may hold for Cameron is anyone’s guess, but the experience that he has had over the last few days will give him a great belief that he can mix it with some of the best players. During November 2018 some of ‘the stones in the water’ have been polished, and the stream is gently singing a joyful song for Cameron Pollard. Aussie, Stephen Prior comes across as being a carefree, sports-mad and practical young fellow in his youth. Life was good, school going well, and Stephen played sport at every opportunity in a country famous for its outdoor lifestyle. 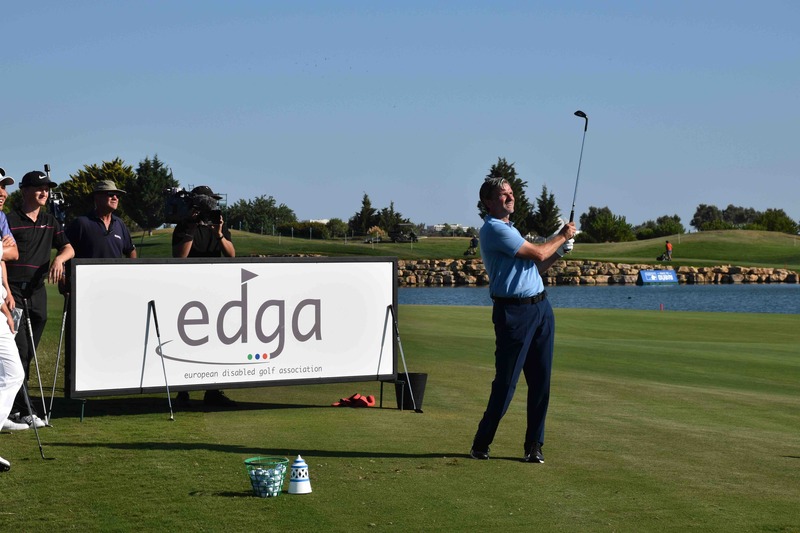 EDGA’s Tony Bennett introduces his conversation with Stephen Prior, who reveals a cool head under pressure. Stephen and his family would often make the trip to Forster, some 350 kilometres north of Sydney, and it was here when with a group of friends enjoying some fishing and water sports that the trajectory of his life shifted. The tow rope off the rear of a speeding boat got caught around his wrist, while waterskiing. Seconds later as he fell from the skis, the line, now looped around his wrist, pulled tight and ripped off Stephen’s right hand, which was never to be found as it sunk to the bottom of the murky water. The final year of schooling is never easy, especially with exams to prepare for and a place at college or university up for grabs, but it all got that much harder as Stephen tried to learn to write with his non-dominant hand. Imagine the turmoil that this seventeen-year-old amputee endured during those next few months. Stephen had to deal with his expectations and increasing frustration in those first few months. Before the accident he had anticipated a good set of grades in the final year examinations, going to college and getting a good job, but increasingly he got frustrated as he slipped behind in his school work. Back in the day, Stephen did not get much help from the Teachers Board in Australia, but thankfully he says this is now changing, and more support and guidance are now available for others in a similar position. The Australian Government are open to having accessible programmes and facilities available, “When I lost my hand there wasn’t much help, Government funding was quite low if any…but now we hear ads on the radio for placements in work for disabled people…it has changed full circuit; it’s more out in the open, you don’t seem to see any prejudice against people with disabilities these days…I certainly don’t get people staring at me as they did in the early days. 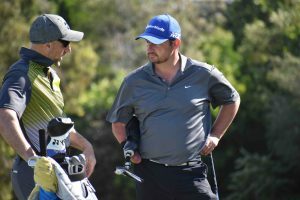 Stephen will have to get used to being watched, but now it’s for his golfing ability as he takes on eleven other golfers with a disability over two weeks in Australia. 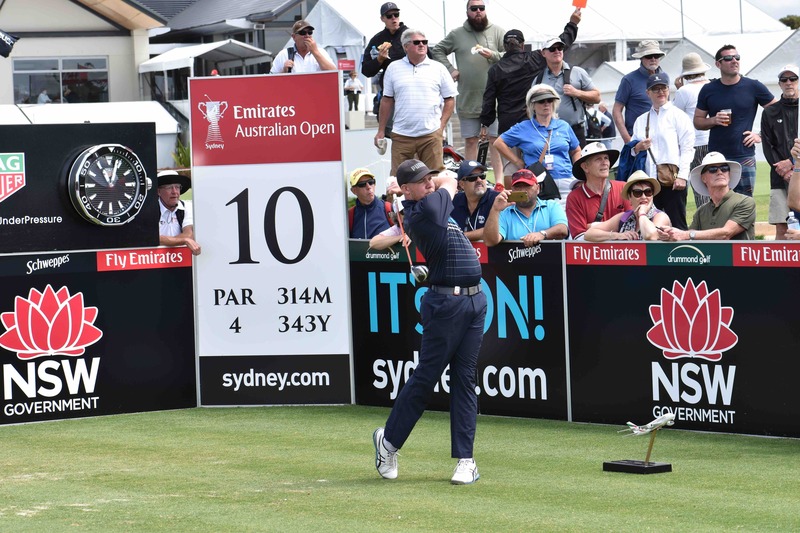 First, on the agenda is the AAAC Championship being played at The Lakes Golf Club in Sydney, inside of the Emirates Australian Open and then again the following week on the PGA Tour World Cup of Golf in Melbourne. Even if his mouth turns to cotton, and his throat gets dry, you can be sure that his head will be clear to deal with whatever is in front of him.